What’s the best thing about DIY home projects? Everything! When you make projects yourself, you are able to put your creativity to work and create something that suits your tastes! When you live in a tiny home, you're always looking for ways to get creative with the space that you have and get it functional as well. Whether you’re aiming for efficiency, fun, or self-sufficiency, there’s an awesome DIY home projects just waiting for you. 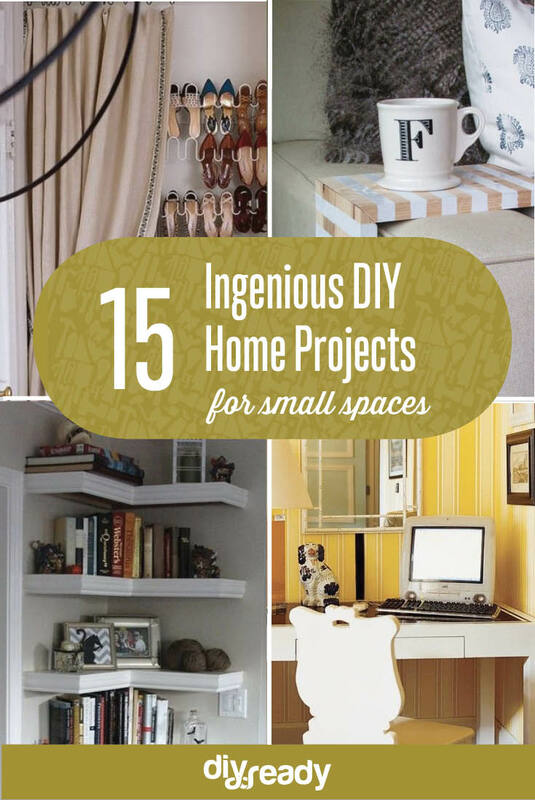 So here are a few DIY home projects and ideas to help you out with that small space. If you're looking for more storage space, then this wall mounted shelving is a simple solution. Click here to read more! Everyone wants to gain extra storage space in the kitchen, right? This Rolling Pantry will save you so much room and will surely make a difference in your kitchen. Check out the tutorial here. Have you thought about using the space under the stairs as a working area? This particular area shouldn't be wasted and sacrificed! Click here to learn how to make use of this spot and turn it into a customized under stairs storage. Extra shelving above your bathroom door is a great way to make use of that usually wasted space. If you are looking for an extra storage in your small bathroom, this shelf might be for you. Click here to learn how to be creative with storage above your bathroom door. Creative idea and space saving solution for small areas. 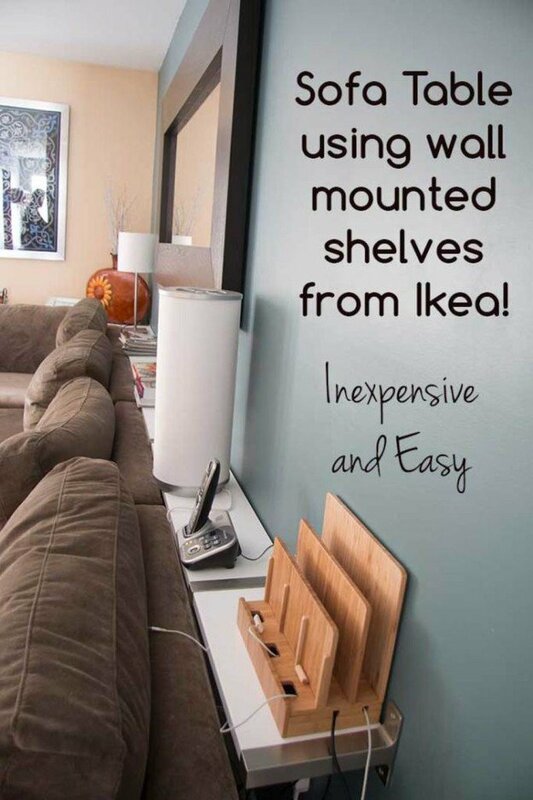 Wall mounted corner shelves are perfect idea to utilize every possible space from any corner in your home. Check it out here! This is a very easy project that's super convenient, practical and functional item. This custom built cabinet is perfect to house your trash instead of that plastic can look next to the kitchen. Check out the tutorial here! 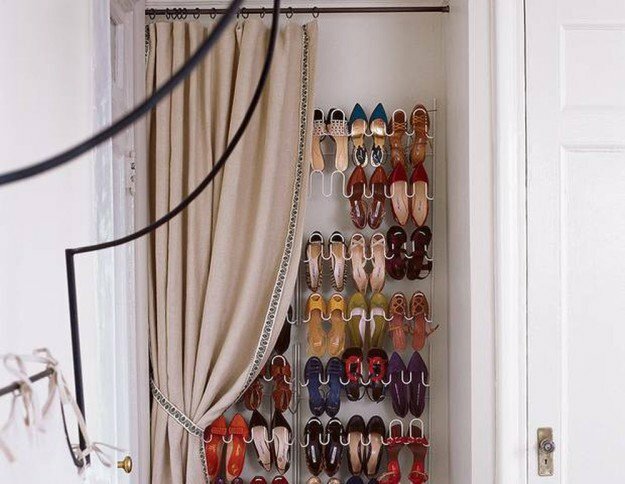 This quick DIY project will keep your shoes organized, easily accessible and on display, rather than hogging space at the bottom of your closet. Check it out here! Take advantage of the space behind your couch with this DIY sofa table. You can get rid of those clunky coffee tables in your living room especially when you only have smaller space in this part of the house. Check it out here! This Closet door storage space project is a perfect idea to maximize your storage! The possibilities are endless and this space shouldn’t be taken for granted. Click here to learn more creative ideas to utilize your closet door space for storage. Let your desk serve as your nightstand and turn it into a perfectly functional work space.This is a perfect project idea especially if you only have a limited bedroom space. Check it out here! 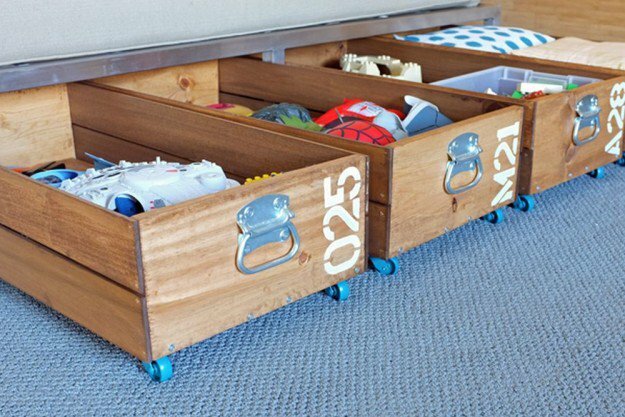 This rolling storage crate can be stored under your bed to make storage a lot more stylish and maximizes the space as well. Learn how to make your crates here. The ottoman is known of it's multifunctionality. It's the perfect place to quickly getting toys, books and electronic items out of view. Check it out here! This DIY project is simple but very stylish. Create a space-saving wood table that wraps the arm of your sofa! This offers just enough room for your evening cup of tea. Check out how here! When space is limited, mounting a towel bar on the back of the door keeps towels handy and it's a perfect idea to use space efficiently. This is a great place for out of the way storage. Check it out here! This desk is so versatile! When space is at a minimum, it is very important to think of ways to maximize that space and function at the same time. Check out the tutorial here! Did you enjoy our list of DIY home projects? Let us know in the comments section below!